If the only face-up monster you control is 1 "Blackwing" monster other than "Blackwing - Gladius the Midnight Sun", you can Special Summon this card (from your hand). Once per turn, this card cannot b..
Target 1 face-up Effect Monster your opponent controls; negate the effects of that opponent's face-up monster, until the end of this turn. During your turn, except the turn this card was sent to the G..
Once per turn, when this card inflicts battle damage to your opponent: You can Set 1 "Fire Formation" Spell Card directly from your Deck. Once per turn: You can send 1 face-up "Fire Formation" Spell/T..
Once per turn, if you activate a "Fire Formation" Spell/Trap Card (except during the Damage Step): You can Set 1 "Fire Formation" Trap Card directly from your Deck. Once per turn: You can send 2 face-..
Once per turn, when this card destroys an opponent's monster by battle and sends it to the Graveyard: You can Set 1 "Fire Formation" Spell Card directly from your Deck. Once per turn: You can send 1 f.. If this card in its owner's possession is destroyed by an opponent's card (either by battle or by card effect): You can Set 1 "Fire Formation" Spell Card directly from your Deck. While you control a f..
1 FIRE Tuner + 1 or more non-Tuner monsters. When this card is Synchro Summoned: You can Special Summon 1 Level 3 FIRE monster from your Deck. After you Synchro Summon this card, you cannot Special Su..
2 Level 3 FIRE monsters. Once per turn: You can detach 1 Xyz Material from this card, then target 1 FIRE monster in your Graveyard; add that target to your hand, but you cannot Normal or Special Summo.. If this card is sent from the field to the Graveyard: You can Set 1 "Fire Formation" Spell Card directly from your Deck. Face-up "Fire Formation" Spell/Trap Cards you control cannot be destroyed by yo..
Once per turn, if a "Fire Formation" Spell/Trap Card(s) is sent to your Graveyard (except during the Damage Step): You can Set 1 "Fire Formation" Trap Card directly from your Deck. Once per turn, if y.. 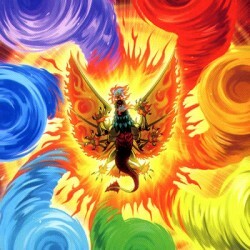 Cannot be used as a Synchro Material Monster, except for the Synchro Summon of a Beast-Warrior-Type monster. When this card is Normal Summoned: You can target 1 Level 3 FIRE monster with 200 or less D..
You can Special Summon this card (from your hand) by sending 3 face-up "Fire Formation" Spell/Trap Cards you control to the Graveyard. When this card is Normal or Special Summoned: You can Set 1 "Fire..
2 Level 4 Beast-Warrior-Type monsters. When this card is Xyz Summoned: You can Set 1 "Fire Formation" Spell/Trap Card directly from your Deck. Once per turn: You can detach 1 Xyz Material from this ca.. When a FIRE monster is destroyed and sent to your Graveyard: Send 1 FIRE monster from your Deck to the Graveyard. When this card is destroyed and sent to the Graveyard: Send 1 FIRE monster from your D..
1 Tuner + 1 or more non-Tuner monsters. If this card destroys an opponent's monster by battle and sends it to the Graveyard: Your opponent cannot Normal or Special Summon Level 5 or higher monsters du..
"Faith Bird" + "Skull Red Bird"..